Since immersing myself in the Aikido Journal archives and spending time with the journal’s massive community, I’ve become increasingly awed by Stan’s contribution to the art of aikido. He built something truly important that can serve us for generations to come. While it is unquestionable that Stan dedicated his life to this endeavor, it also would not have been possible without the support of key members of our community. 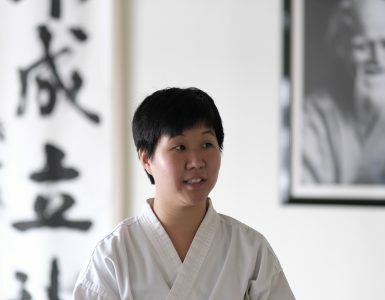 As our final post before relaunching the new Aikido Journal, we’re taking the opportunity to thank the heroes of Aikido Journal, without whom none of this would be possible. Stanley Pranin in Japan, 1986 with the Aiki News print magazine. This publication inspired and informed many generations of aikidoka. Aikido Journal was originally founded as the Aiki News in 1974. People including Patricia Hendricks Shihan helped assemble the first issues with Stan Pranin in Monterey, California. Over 100 issues of Aiki News and Aikido Journal were printed and published over the years. The magazine became increasingly polished, contained more valuable information, and reached a wider and wider base of readers. Without subscribers to the magazine, Stan would not have had the financial resources to dedicate his professional life to create what is now one of the great treasures of the aikido world. 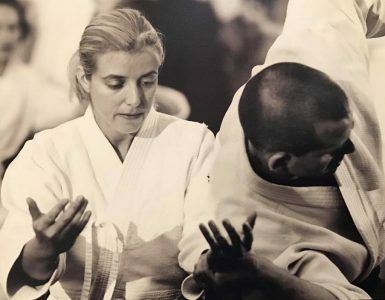 Only Stan had the foresight, specialized skills, and the motivation to research and document the history of aikido through interviews with so many primary sources – the great legends of the aikido world, most of whom are no longer with us. 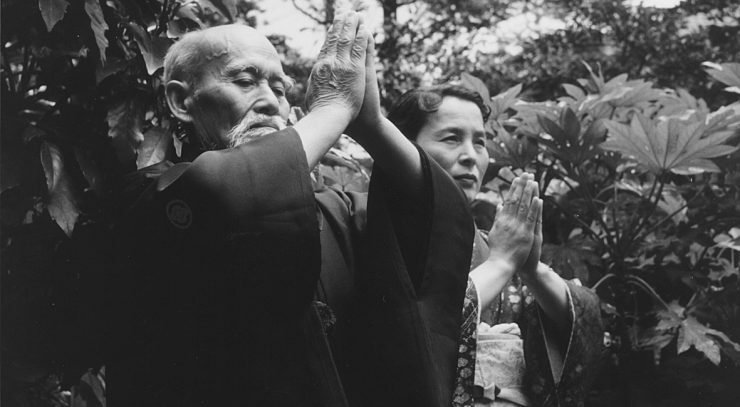 Those supporting the first generation of Aikido Journal with magazine subscriptions not only provided the fuel to create this invaluable asset, but also allowed the journal to transition into the digital age as an online publication. Peter Goldsbury Sensei (7th dan), the former chairman of the International Aikido Federation for 20 years, is an Aikido Journal Legacy Member. Peter is pictured here with Doshu Kisshomaru Ueshiba. After transitioning away from a print magazine, the journal was carried forward by a new generation of supporters, many of whom also backed Aikido Journal in its early days as a print publication. These supporters were subscribers to the Aikido Journal Members site. As we turn the page and begin to write a new chapter in the story of Aikido Journal, these subscribers will now be known as Legacy Members. With the coming launch of our new website, we’ve now stopped taking new subscriptions to the Members site. Legacy Members have been set up with free access to the Members site until its retirement. Their accounts will remain active with no further fees until we’ve released the majority of the content on the Members site onto our new public site. I wish to extend my heartfelt gratitude to these Legacy Members. 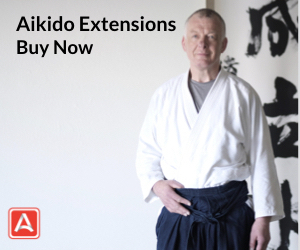 As a subscriber to the Aikido Journal Members site, you provided encouragement and motivation for Stan, as well as a recurring revenue stream that gave him the financial resources necessary to research and publish his work. Without you, the work we will begin releasing for the benefit of the larger aikido community would never have been created. We all owe you a debt of gratitude. When the new Aikido Journal launches, the entire website will be free, but we’ll have a subscription for Aikido Journal TV, an on-demand video service that will eventually contain the entire Aikido Journal video collection. 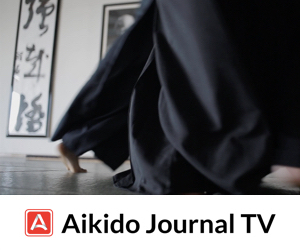 We hope you’ll join us and subscribe to Aikido Journal TV. Those who do will be known as Foundation Members. Their support will fuel our projects and efforts in this new chapter of Aikido Journal’s life. We are resolutely determined to build upon Stan’s legacy in a positive and meaningful way. We hope you’ll provide us the guidance and support we’ll need on our journey. Thank you again for your support and dedication to the art we all love so much. 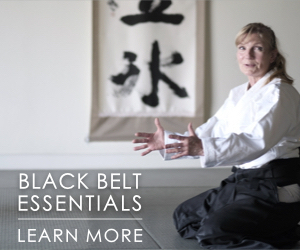 Our next email newsletter and post will announce that the new Aikido Journal is live. We’re excited to share it with you. If you’d like to learn more about final pre-launch updates, you can watch this short video. Thank you Ken! 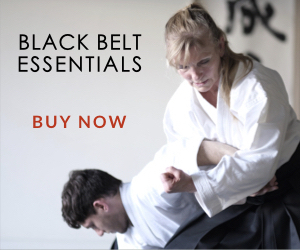 It’s awesome to have you with us and we hope you’ll like the new Aikido Journal. Does anyone know a Liz Crawford as an Akidoist? Perhaps in the Northern California area? Is there a master list of people involved in the art I could access? Hi Matthew. I don’t personally know of Liz, but maybe someone here does. There is unfortunately no master list of people involved in the art that anyone can access. The Aikikai / Hombu dojo in Japan has a list of all black belts but I’m not sure how easy it would be to get this kind of information from them. I hope you can get back in touch! Thank you for your support Alex. We hope you’ll like the new Aikido Journal and we are delighted to have you as a member of the community. New BLOOD just what the doctor ordered! Thank you for continuing the legacy Stan left. Thank you for the support Nev! Fantastic accomplishment to relaunch the huge efforts of Stan Pranin, our Aikido historian. His self appointed mission continues on with the grace of others. I am very appreciative of all the work that makes this invaluable data available to so many. Thank you very much and well done. Thank you Barb. We’re excited to share the new Aikido Journal with you in the very near future. Hi Richard. You may have missed most of our previous articles, emails and videos that outlined the details for existing products. All of the ebook products sold were downloadable, so you won’t be losing them. The old video products will also be kept online until such a time as we are able to migrate the content over to our new platform in some form. So nothing will be lost. Thanks for supporting our previous work.